Our captain and crew are dedicated to ensuring you and your party have a great experience. 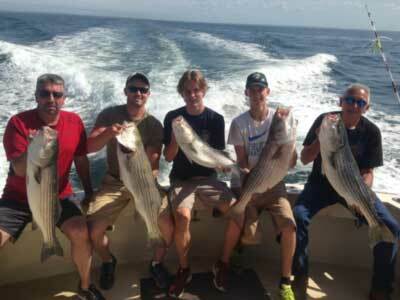 We will teach you about fishing and work hard to make sure you have FUN. 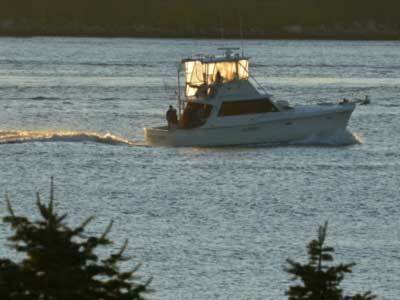 We fish on the waters off Southeastern Connecticut less than an hour from our berth at Captain Scott’s Lobster Dock. Our mates and captains are some of the best in the area and we take pride in making sure every trip is the best it can be. 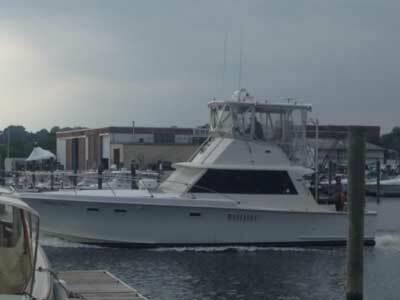 Carolyn Ann is a well appointed 41 ft Hatteras. We have a full sized head (restroom) and a large cockpit for fishing. We are fully equipped with modern safety gear and carry all required licenses for your fishing needs. Follow Interstate 91 South to Hartford. Take Route 84 East to Route 2 East to Route 11 in Colchester. When the expressway ends, go left for one mile. Turn right onto Route 85 for 13 miles into New London. Turn right onto Colman Street to the end, then turn left onto Route 1 (Bank Street) and take right onto Howard Street. First left is Hamilton Street and Captain Scott's Lobster Pier. Take Route 395 in Auburn, South to Exit 77. Take left onto Route 85 to Colman Street as described above. Proceed South on Interstate 95. After crossing the Gold Star Memorial Bridge over the Thames River in Groton, take Exit 83 to Colman Street. Turn left onto Colman Street to the end. Turn left into Route 1 (Bank Street) and take right onto Howard Street. First left is Hamilton Street and Captain Scott's Lobster Pier. Take Interstate 95 North to Exit 82 (Broad Street - Route 85). Turn right at the end of the exit ramp onto Broad Street, follow to the second traffic light and turn right onto Colman Street. Follow Colman Street to the end . Turn left onto Bank Street (Route 1) and take right onto Howard Street. First left is Hamilton Street and Captain Scott's Lobster Pier.